WELCOME TO HP HIGH SCHOOL! Every Wednesday night HP Youth opens its’ doors and welcomes any high schooler who wants to worship Jesus in a warm and vibrant community! Doors open at 6:00pm so that students can enjoy our open gym, HP cafe, and pre-service activities. High school service begins at 7:30pm and includes fun videos and games, contemporary worship, honest testimonies, and engaging messages. Students then split up into life groups after service to connect and dive deeper into God's Word! The night concludes at 9:00pm when life groups are dismissed. We strongly encourage our students to attend Highland Park on Sunday mornings with their families and friends at one of our main services offered at 8:30am, 10:00am or 11:30am. As a church, we believe in the importance of worshipping together as a family. We also offer a discipleship class called Roots at 10:30am that provides students with an avenue to go deeper in their faith and have more space for questions and discussions. Roots meets in the main building in Room 201 and all students grades 6-12 are welcome to join! Life groups are such an important part of spiritual and communal growth in the lives of high school students. Our goal is to make life groups available and exciting for students. We want students to feel connected to each other and their church. Life groups happen every Wednesday night, right after service. Groups are split up by gender and grades, and each group has multiple leaders excited to invest into their students! 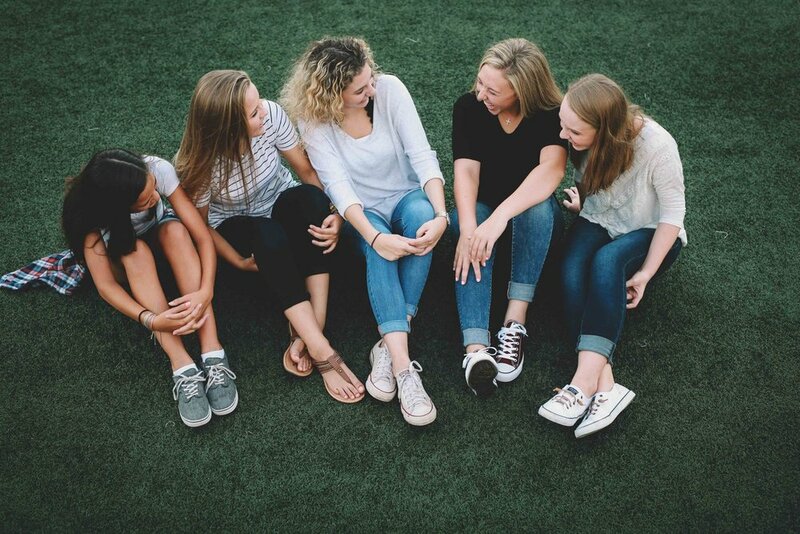 We believe that life is not meant to be done alone, so join a group and get plugged in!Please contact Colton Townley for more information on how to get plugged in to a high school life group. As an HP Youth team, we are committed to hosting incredible and exciting events throughout the year for our students. Our goal is to provide them with both an avenue of fun and an opportunity to invite their unchurched friends! We provide a calendar each fall, spring, and summer that includes all special events being offered to our students! Don't miss out! (Calendar below, under Parent Resources). *Some events require online registration (communicated to students) and/or additional forms such as our Medical Release Form. These forms are available throughout the year for our parent's convenience under "Parent Resources" below . Are you a senior heading to a Christian college? At HP we believe that furthering education past high school can help lead to both spiritual and intellectual growth. In order to cultivate an excitement for what college can bring, we have provided opportunities to help you finance your future. Read and fill out the forms below to see what scholarships await you. With questions, contact Colton Townley.